1. 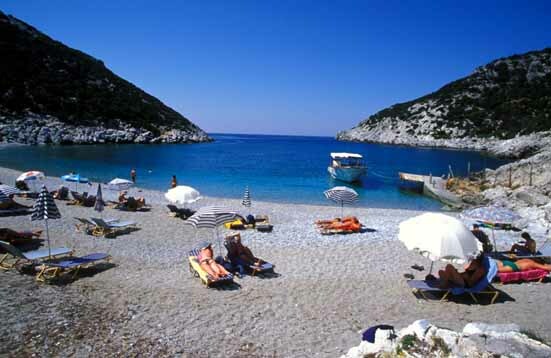 Stafilos: 4 Km from Skopelos town. Drive the main road of the island. Find Rooms, Apartments, tavernas, kantina at the beach. In the north side there is a fantastic beach called Velanio. 2. 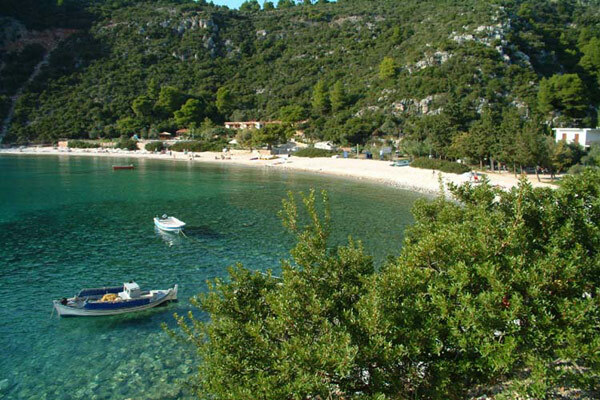 Panormos: Drive the main road 15 Km from Skopelos. Clear waters, rooms, apartments, Hotels, tavernas, market. 3. 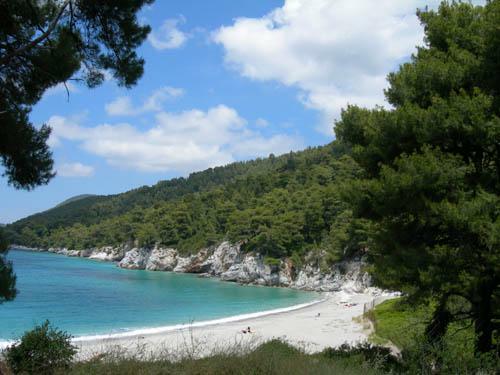 Milia: A nice big beach with many pines arround. Drive 2Km after Panormos. Find rooms, tavernas, kantine. 4. Kastani: 1 Km after Milia. Where the movie Mammamia was spoted. Find a nice cafe. 5. St. John Kastri:. Drive after Glossa village. 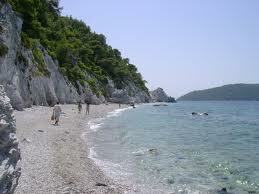 35 Km from Skopelos town. In the north side of the island. Mammamia movie was filmed here too. 1. Armenopetra: Very clear waters. Small beach hidden from eyes. The road is narrow but not hazardous. 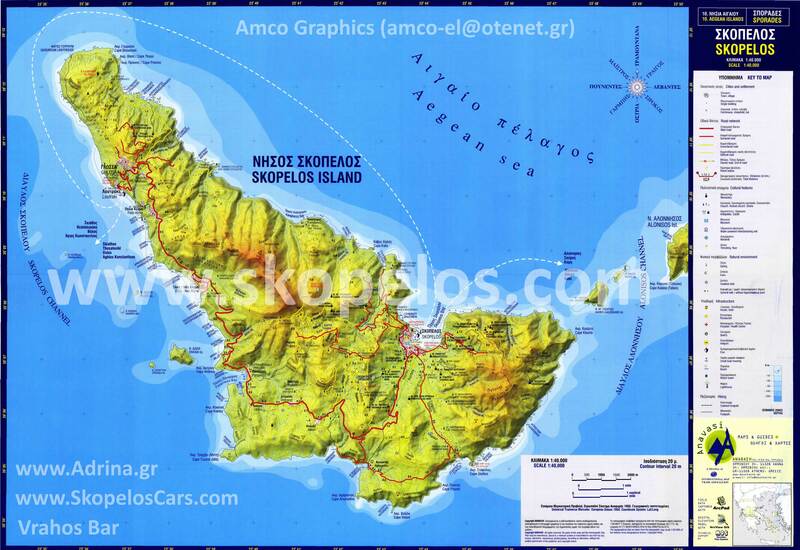 It is located 3 Km after Elios village on your left hand as you drive on the main road. 2. Limnonari : As you drive after Agnontas 500 m there is a road on your left hand on the top of a turn of the road. The road drives in fantastic small sandy beach.There is a tavern some nice rooms to let. 3. 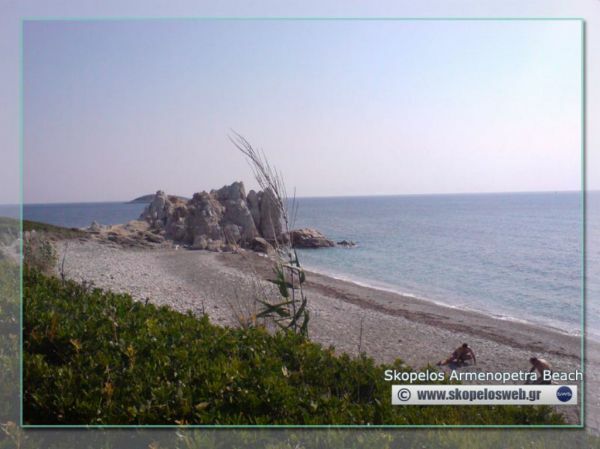 Glisteri: On the ring road in Skopelos town there are signs to drve you to Glisteri beach. It is located in the north side of island. It s a small golf. Quite place not so many tourists, no tavern, no hotel, I think you will find the place interesting. 4. Hovolo: Ask someone in Elios village to help you find that place. You go on foot thts why do not carry bags and other things except necessary for swimming.